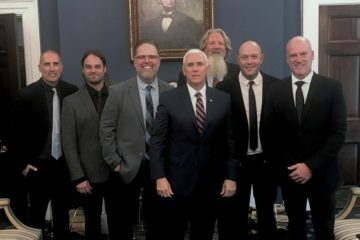 Since the release of MercyMe’s latest endeavor LIFER on March 31, 2017, the album has earned debut placements across multiple charts, including No. 10 on the Billboard Top 200 and No. 1 on Billboard. The first single released from the album Even If garnered a No. 1 on radio as the album was released world-wide. Throughout the debut week of the album, Lifer sat atop the iTunes Christian Chart, while hitting No. 2 on the overall iTunes and Amazon Music Charts. LIFER also pulled in No. 1’s internationally, garnering the highest chart placement on the iTunes Christian & Gospel Albums Chart in India, Singapore, Switzerland, United Kingdom and Italy. Find out more here. Watch the ‘story behind the song’ video for the single Best News Ever above. Watch the lyric music video for the Number 1 single Even If here, and listen to “Ghost” from the album below.